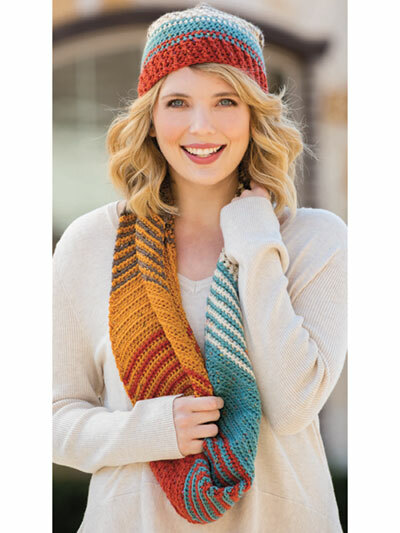 Fall colors create interesting shifting patterns in this hat and cowl set! 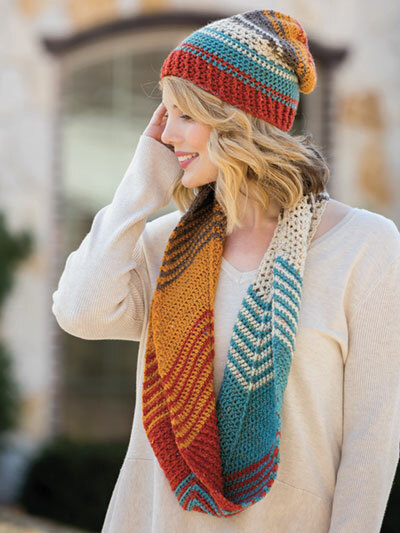 This lovely set is made using 1 ball each of Islay, granary, eucalyptus, ginger, and mustard King Cole Fashion Aran worsted-weight yarn and a size I/9/5.5mm crochet hook. Finished measurements: Hat 16" circumference x 10 1/2"T; Cowl 8 1/2"W x 40" circumference. Previously published in Crochet! Autumn 2018.